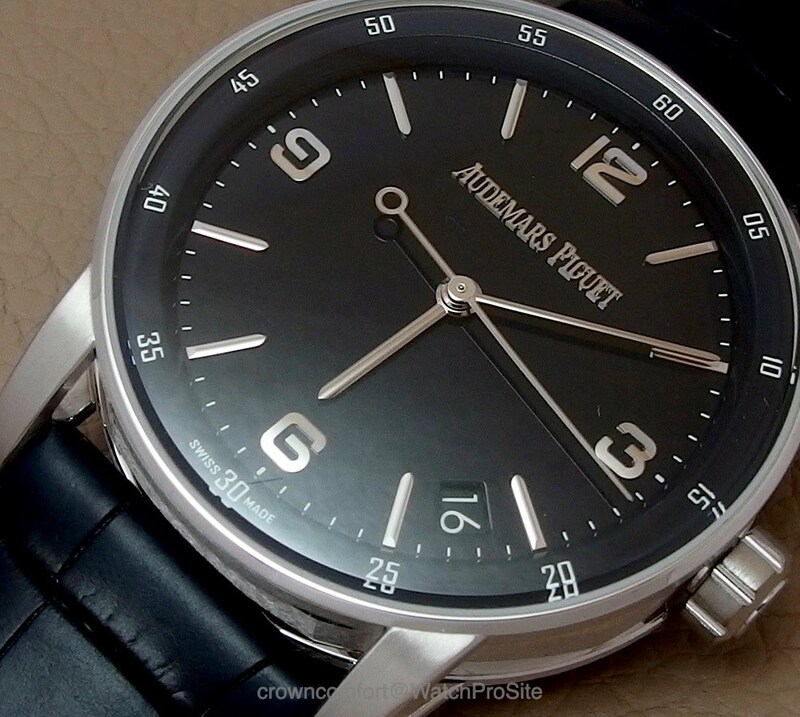 there has been a lot of debate and negative comments about the new Audemars Piguet Code 11.59 collection, but frankly not that many posts with a detailed look at the watch. I had the privilege to handle the 3-hander Code 11.59 in the 41mm white gold case and black lacquered dial. What is very obvious to me is that AP tried to go a different route. 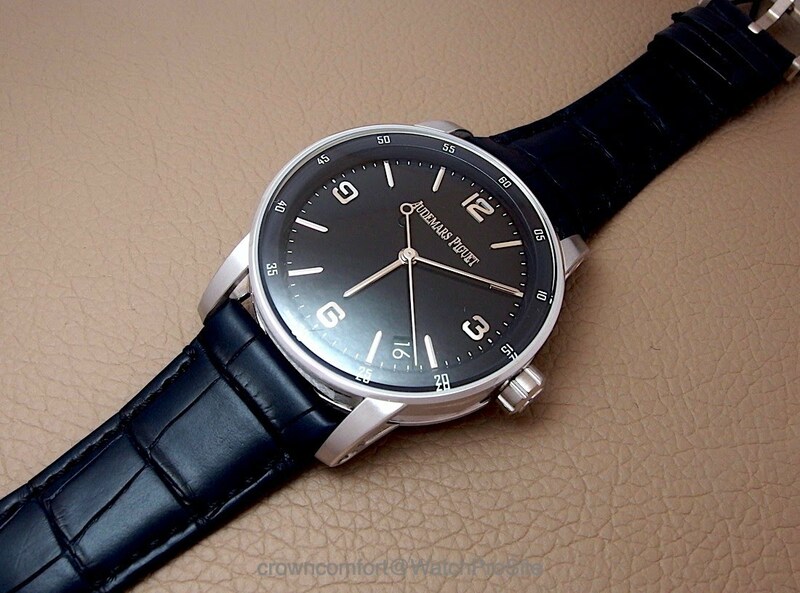 The watch is not really a classic dress watch nor a sports watch. 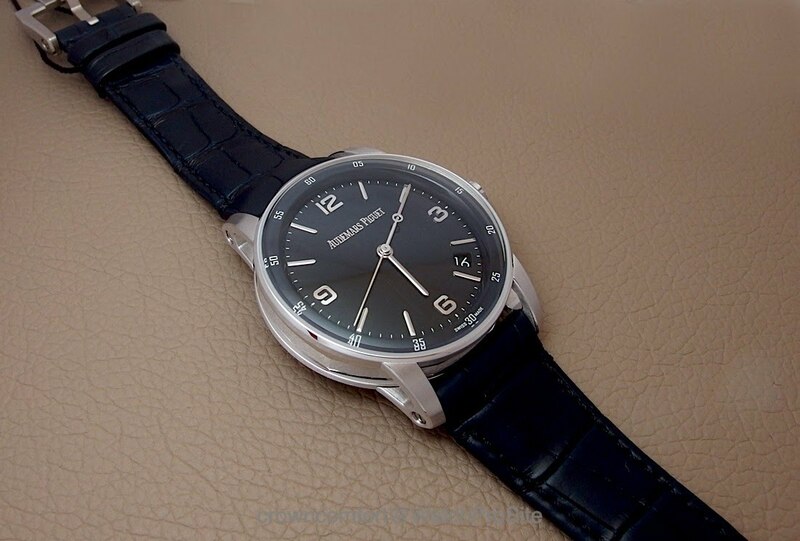 For a dress watch the case is quite bold and large but then still made of white gold. The automatic movement is a true highlight of the watch. Perfectly finished and of great design and attention to detail. It seems to be aimed for the business casual attire perhaps. The case is well finished and has a lot of different surfaces and shapes and with that provides a lot of interesting looks. The dial and hands on the other hand are kept very simplistic, almost like a Nomos Bauhaus design. With that the relatively large watch appears quite “empty” on the dial and the shiny black together with the thin hands make it quite hard to read time. On the other hand, I do like simple watches and from the Code 11.59 my preference would actually go to this time-only version. I’m still wondering a bit with what other watches this one is competing with or if it actually stands quite unique and created a new niche of “casual, but not sport nor dress” watches. 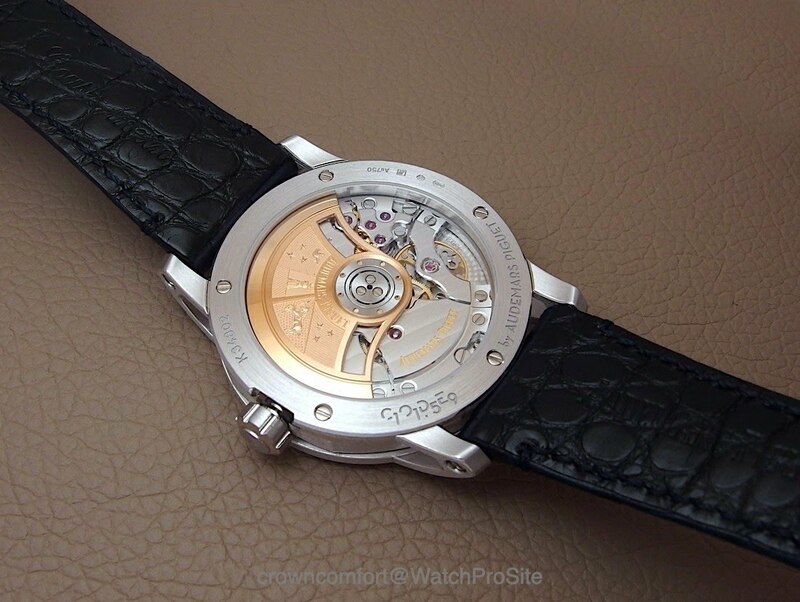 The case is very well made but in my opinion, the dial is totally uninspiring. It's competing with fashion watches. It’s the aesthetic that younger people, artists, famous people and non-purists go for. Thanks Hans. I haven't seem the blue dial yet, but could see that this works well. Whatever change of direction this signals, I don’t like it. The case is interesting, but the dials leave a lot to be desired. I’m really not feeling this whole line. But, I guess we have to wait to see how it ages and how they will improve upon it. it is wise to expand the collection but of the Code 11.59 will be that next hit, only time will tell. But, barring some changes to the design, I don't see this happenning. Did it get negative feed back? Or was it an instant hit? 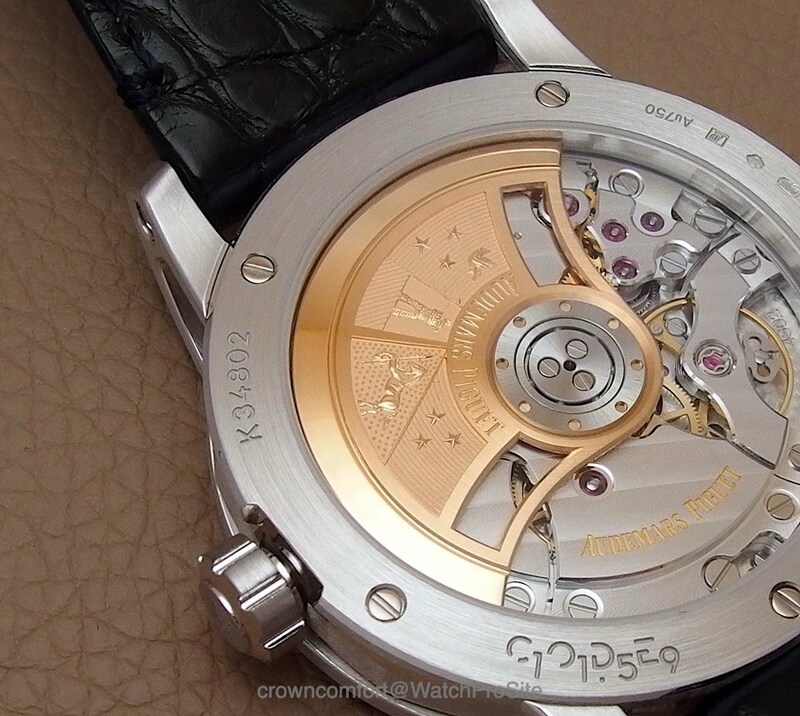 I'm a huge AP fan, visited manufacture and have ROs, Edward Piguet and Jules Audemars watches. Terrific remarks, CC. Thank you for your impressions. The tide is already turning on this one. Glad you wanted to see it live before formulating your thoughts. Me too, although I am not sure when I will get one in hand. in live there are some great sides to it, but also some things to improve. But it is a new line, so I'm sure AP will develop and evolve it further.